The Waimea Ocean Film Festival aims to highlight ocean experience, ocean environment, and island culture through film and the daily activities taking place during the event. It was established as a forum to bring attention to issues facing the ocean environment. So what’s new during this years eighth annual festival? Well for starters they are working hard to continue giving a voice to our oceans by introducing new features to the event! 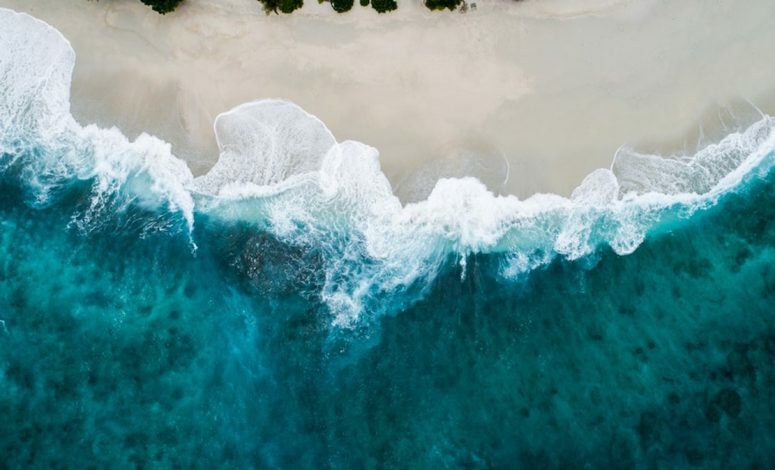 We spoke with Morgan Suzuki, PR Director at The Four Seasons Resort Hualalai, and she shared “we are especially excited to be hosting a Marine Preservation Organizations Event this year in conjunction with the festival. The event celebrates two incredible organizations that are working to preserve and restore the ocean and its marine life. In addition to this celebration, we will also be hosting screenings at our outdoor amphitheater, Hoku Amphitheater, allowing guests to enjoy films under the stars”. The Four Seasons Resort Hualalai has established itself as an eco-friendly resort not just because of their support of this event but also through their own sustainability programs, it is the ideal place to stay to receive the experience of Hawaii’s beauty, luxury and perfect attention to detail. The festival will also be hosted in locations such as the Mauna Kea Beach Hotel. The hotel sits on one of the most beautiful beaches in the world. It is home to sunrise yoga where guests can connect with nature on the lawn by the lūʻau grounds as the sun first touches the island’s west side. The Breakfast Talks are hosted in the Garden Room for a breathtaking start to the day. The Fairmont Orchid is also a host to the event and offers the resort experience blended with island culture. In 1990 they launched an industry-leading Green Partnership program, which takes a comprehensive approach to reducing its impact on the environment. Fairmont’s Green Partnership focuses on improvements in the areas of energy and water conservation, waste management and innovative community outreach programs involving local groups and partnerships. There’s still time to reserve your spot at the Waimea Ocean Film Festival and to reserve your spot in one of the stunning host venues. Of course, if you fall in love with the dreamy natural beauty of Hawaii and never want to go back, Luxury Big Island has the perfect brand new Hualalai Resort home for those who want an elegant blend of nature and architecture. The open-space floor plan was designed by Vancouver based OpenSpace architecture to beautifully combine Hawaii’s natural ambiance with home. The floor to ceiling windows maximize natural light creating a refreshing modern day feel. Each of the 5 bedrooms is complete with its own ensuite complete with exquisite Blu Bathworks fixtures and private, beautifully landscaped, walk-out shower gardens. We hope you enjoy the adventures and beauty the Big Island has to offer!